ZTE has proposed a new financing plan worth $10.7 billion and nominated eight new board members as it seeks to comply with an agreement reached with the US government that will allow it to return to business. The company had been banned from obtaining products and services from US suppliers after it breached a previous agreement reached for illegally shipping products to North Korea and Iran. This led it to suspend operations and admit that its survival was at risk. However, US President Trump intervened with a new deal, which will see ZTE pay a $1 billion fine, change its board and management, and put $400 million in escrow, means it can get back to work on its telecommunications network equipment and smartphones. According to Reuters, ZTE will need to replace its 14-strong board and dismiss all executives at senior vice president level of above. Any officers involved in the scandal will also be forced to leave, with as many as 40 staff at risk. ZTE’s return to business follows a two-month period of inactivity that saw as much as $3 billion wiped off its value. 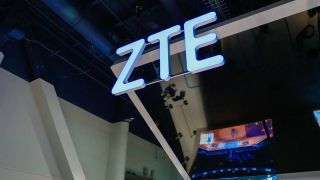 It has been suggested that it will be a month before ZTE can resume shipping handsets to the US, while staff fear the reputational and financial damage the incident has caused could affect bonuses and job prospects. There are also concerns that the overhaul of the board could lead to instability. The White House has made it clear that should ZTE infringe again, it would not get another chance to redeem itself.